I love Caprese salad, especially in the summer when the basil is fresh and the tomatoes are picked from the garden. 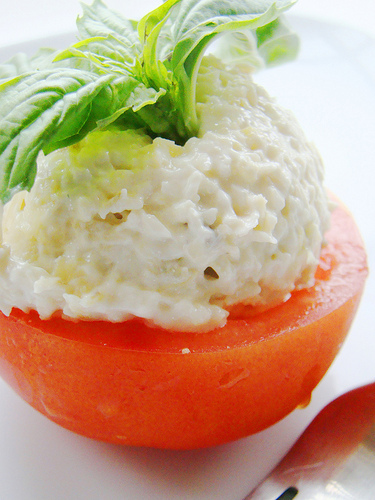 Here is a twist on the mozzarella, tomato and basil salad. These are quick one bite little appetizers that are bursting with flavor!